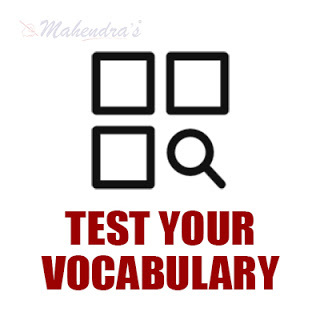 Test Your Vocabulary has been introduced to help the students who are preparing for competitive exams to gain confidence. Vocabulary is important for any competitive exam especially for English Language subject whether it is an objective exam or descriptive exam. Mostly, students get confused with the synonyms and antonyms of a particular word. So to enhance their vocabulary along with synonyms and antonyms, here is a quiz provided to test their vocabulary ability.